hereby renewed for a further period of five years with effect from 12.09.2012.
the Annexure to this Order as shown at column No.3 against their names. ANNEXURE TO G.O.RT.No. 343 , Revenue (Regn-II) Department, dated 07-03-2013. P.V.S.S.S.V. 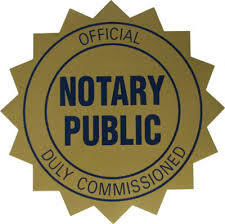 Prasad, Advocate and Notary. Registration District, West Godavari District in local cadre. Lala-II, Tilak Road, Abids, Hyderabad. 4) K.Pramila, Advocate & Notary, H.No.5-426 S.R. Krishna District for a further period of five years with effect from 06.01.2012. Guntur District for a further period of five years with effect from 07.11.2011. Karimnagar District for a further period of five years with effect from 10.11.2011. 23.12.2002 to 22.12.2007 and also from 23-12-2007 to 22-12-2012. Godavari District for a further period of five years with effect from 20.04.2012. Mahabubnagar District for a further period of five years with effect from 22.03.2012. Guntur District for a further period of five years with effect from 06-06-2009. Krishna District for a further period of five years with effect from 07-06-2004. Certificate of Practice appended to this order.